With HK - KOTI special-purpose brushes, we attempt wherever technically possible to address individual customer requirements. Depending on the terms of reference, brushes with different designs can be implemented using different filler types to create combination brushes. We can surely manufacture brushes according to your individual requirements. We guarantee you fast and reliable delivery - even in small quantities. 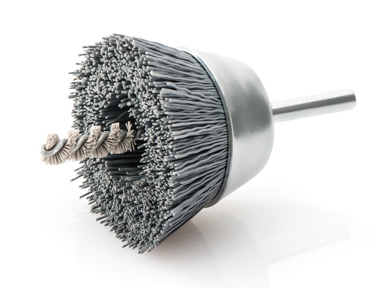 This is a combination brush comprising a shaft cup brush and pipe brush. It is used for the simultaneous machining of a borehole and flat surface. 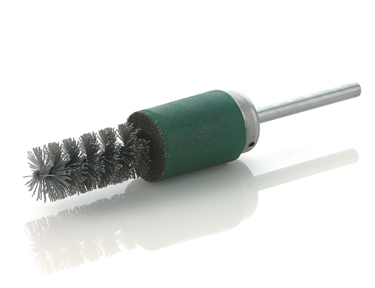 This is another combination brush comprising a plastic bonded cup brush and pipe brush. Its specific application is also the simultaneous machining of a borehole and the surrounding surface, for example to remove welding splashes. 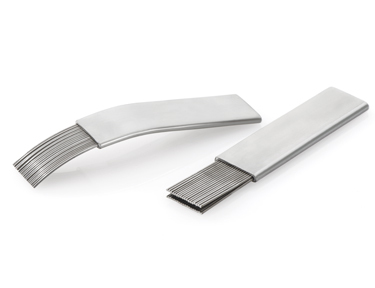 These are used to remove fine welding splashes in different-to-access locations on gear components.